Our friends and comrades from Flagstaff are calling for a week of action in the struggle to save the San Francisco Peaks from the ongoing destruction wreaked by Arizona Snowbowl. At issue is the new construction by Snowbowl to bring reclaimed waste water from Flagstaff up the mountain for snowmaking so that the resort can expand operations for more skiers. Obviously, the use of reclaimed waste water ought to be raising a few eyebrows, especially when it comes to the effects that chemicals and human excrement could have on the health of human visitors to the mountain, not to forget the animals and wildlife that live there all year round. For years the Save the Peaks Coalition tried every avenue to halt Snowbowl, and was caught up in the courts with legal fights for years. The federal government had made it clear though that public health and respect for indigenous peoples were no match for profit and economic development, and so the Ninth circuit court denied an injunction to halt the construction a few months back. Snowbowl began pipeline construction in late May, after years of broad opposition from indigenous people, environmentalists, and residents of northern Arizona had failed to stop the proposed snowmaking desecration. “What part of sacred don’t they understand? Through our actions today, we say enough! The destruction and desecration has to end!” said Marlena Teresa Garcia, 16, a young Diné woman and one of the six who chose to lock down. “The Holy San Francisco Peaks is home, tradition, culture, and a sanctuary to me, and all this is being desecrated by the Arizona Snowbowl Ski Resort. So now I, as a young Diné woman, stand by Dook’o’osliid’s side taking action to stop cultural genocide. 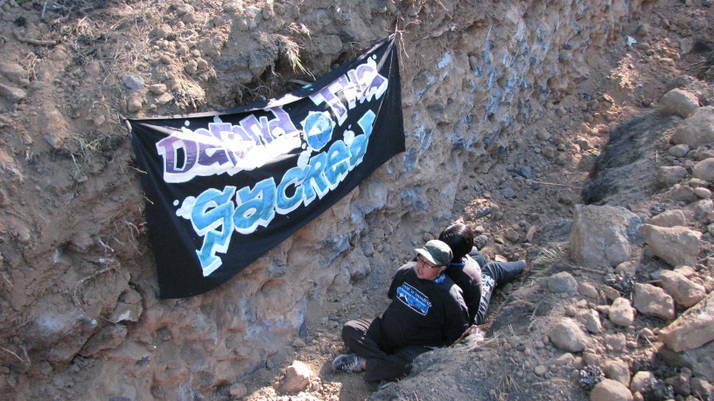 I encourage all indigenous youth to stand against the desecration that is happening on the Holy San Francisco Peaks and all other sacred sites”, said Garcia after being arrested and released. Snowbowl is constructing a 10,000,000 gallon storage pond to hold the treated sewage water, cutting down trees to install sewage pipe to bring more waste water up the mountain, and clear cutting over 74 acres of trees. While construction is going down every day and the news is troubling, it doesn't mean it's time to give up and walk away, now is actually a good time to get out of the heat in the valley and head up north to cool off and take action. Dozens of people have set up protest base camps up on the Peaks, and have a working food kitchen that has been feeding campers for a month, despite harassment from the authorities. 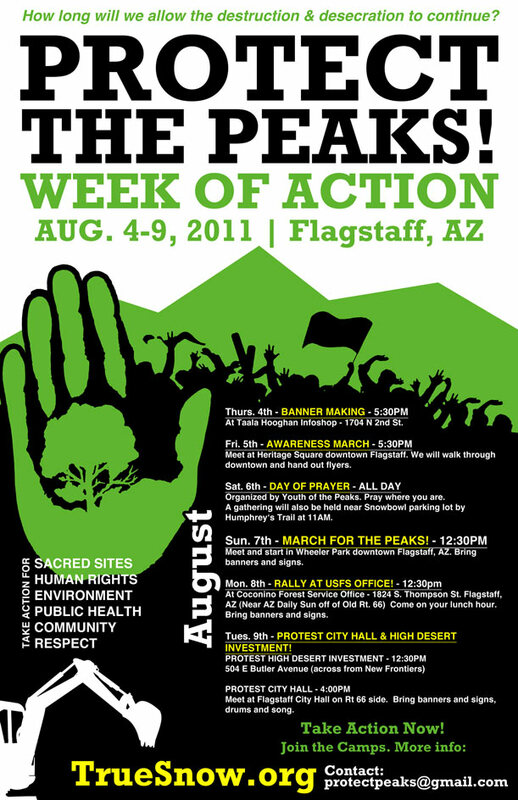 A banner drop in Flagstaff kicked off the week of action earlier this week, and a list of events is posted up on True Snow, and if you and yours can't make it up to Flagstaff this weekend, there are other ways you can support. As outlined in "call for a Diné, O'odham, Anarchist bloc" (DO@) statement, our basis of solidarity and support for projects of resistance around the state is rooted in our understanding that the colonial attack on indigenous people has not ended. 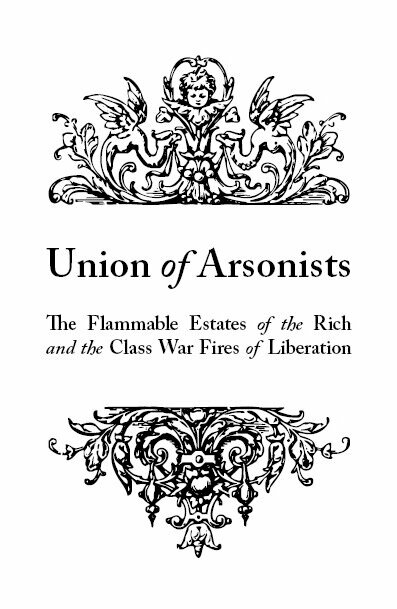 It is not a history lesson to be read about, but an ongoing struggle against cultural genocide and dispossession from one end of the state to the other. 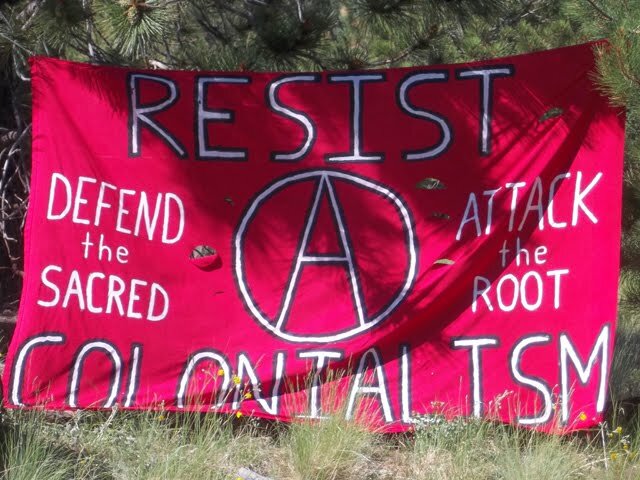 Stand with indigenous resistance to colonialism, and against the destruction of the earth for profit and recreation.